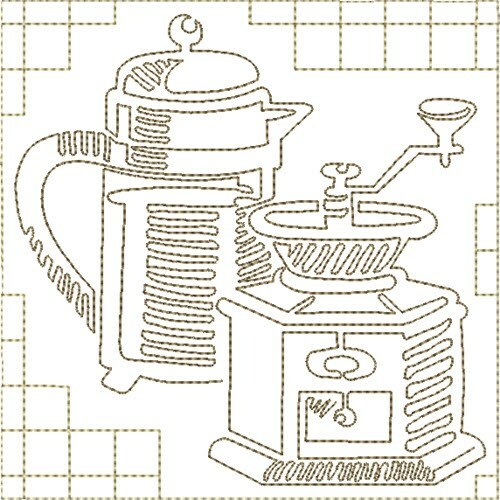 Get this daily grind on a project for your coffee lover! It's a perfect pick-me-up for your home projects as well. 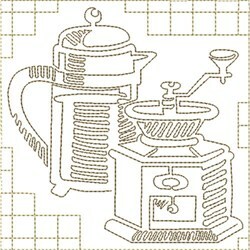 Ramona Baird is happy to present Coffee and Grinder machine embroidery design which has 7533 stitches and is [139.70 mm x 139.70 mm] large. If you would like to view more embroidery patterns please search on our embroidery designs page.